Professor William Ayliffe is Emeritus Professor of Physic at Gresham College and a Consultant Ophthalmologist at the Lister Hospital in London. As well as being a practising clinician and teacher, he also continues to carry out clinical research into the prevention of blindness. After taking a first in Immunology at Imperial College, Professor Ayliffe qualified in Medicine in St. Bartholomew&apos;s Hospital London. Specialising in inflammatory eye diseases and corneal and cataract surgery he held a research registrar post at Oxford, before training in clinical ophthalmology in Bristol, Manchester and Harvard USA. His PhD was on mechanisms of corneal transplant failure. He has worked in developing countries and also with ORBIS, the international flying eye hospital. In addition to general ophthalmology, Professor Ayliffe has developed a local and tertiary referral service for cornea, uveitis and inflammatory eye disease. Professor Ayliffe is a winner of the prestigious Wix Prize for the History of Medicine and the Kabi-Pharmacia Prize for immunological mechanisms of corneal transplant rejection. 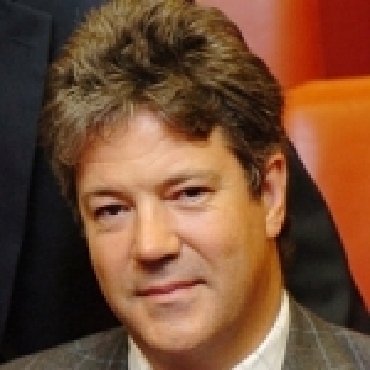 He is a Reviewer for a number of professional journals including Eye, British Journal of Ophthalmology, Journal of Cataract and Refractive Surgery, he is an Examiner for the Royal College of Ophthalmologists and an Advisor to the UK Transplant Service. He has undertaken wide media and TV work for the national press, the BBC and Channel 4, has an extensive range of publications and has delivered prestigious lectures all over the world. Professor Ayliffe took up his Gresham Professorship in 2009, the 200th anniversary of Louis Braille&apos;s birth. His lectures offered a cultural and scientific survey of the eye and vision, centring on the biological and cultural aspects of the human eye and vision, covering the overlapping medical, philosophical and humanitarian concerns of this area. All of Professor Ayliffe&apos;s previous lectures may be accessed here. Artificial Eye, Artificial Vision: How does my robot see?